LOS ANGELES, April 9, 2018 /PRNewswire/ — Deluxe Entertainment Services Group Inc. (Deluxe) today announced the launch of Deluxe One, a platform that unifies every stage of the content ecosystem — from creation to viewer experience — in one cloud-based interface. An open platform, Deluxe One is designed to integrate with any vendor or customer system, allowing users to succeed in an age where the lines between creator and distributor are becoming increasingly blurred. Deluxe One unifies a network of micro-services accessed through an intuitive interface that helps customers streamline their workflow, whether they are using Deluxe”s end-to-end solution or just a piece of it. 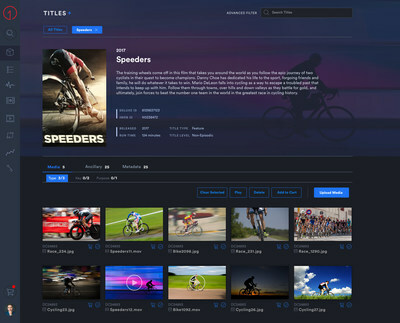 Designed to reduce hand-offs between vendors and speed up turnaround times through automation, Deluxe One allows customers to get their content to audiences around the world quickly and reliably. To learn more about Deluxe One and how it can help create and deliver your content to global audiences more efficiently than ever before, visit one.bydeluxe.com. Deluxe Entertainment Services Group (Deluxe) is the world”s leading video creation to distribution company offering global, end-to-end services and technology. Through unmatched scale, technology and capabilities, Deluxe enables the worldwide market for premium content. The world”s leading content creators, broadcasters, OTTs and distributors rely on Deluxe”s experience and expertise. With headquarters in Los Angeles and New York and operations in 38 key media markets worldwide, the company relies on the talents of more than 7,500 of the industry”s premier artists, experts, engineers and innovators.